Usool ul-fiqh has been called the “logic of fiqh (jurisprudence)” because it is the study of the common components, rules, and principles for deriving the rulings of Allah from the Qur’an and ahadith. 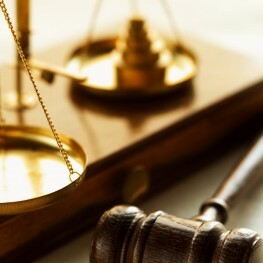 In the same way that adhering to the principles of logic ensures that one’s thinking leads to correct and acceptable results, adherence to the principles of fiqh ensures that the result of ijtihaad is the most correct derivation of Divine law possible given the limitations of the text and indications available. Introductory studies in Usool ul-fiqh give the beginning howzah student a glimpse into the workings of ijtihaad, allowing him or her to see more clearly and concretely how the detailed, technical Arabic language and logical thinking skills will be indispensable tools should Allah (swt) allow him to continue to study to the higher levels. These studies also give the student his first real appreciation for fact that ijtihaad is a very precise, highly technical science requiring mastery of a wide range of knowledge and skills. This appreciation itself is a benefit to the communities, because it acts as a bridge between the maraja’ at-taqleed and the believers (muqallideen) who are doing taqleed to the maraja’.